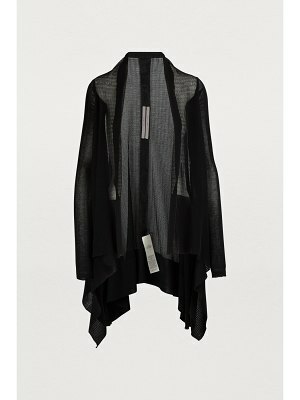 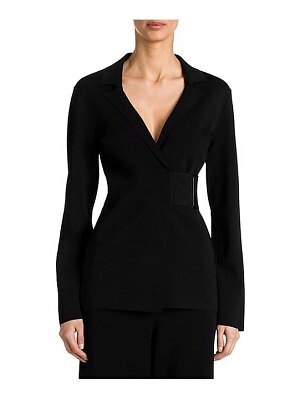 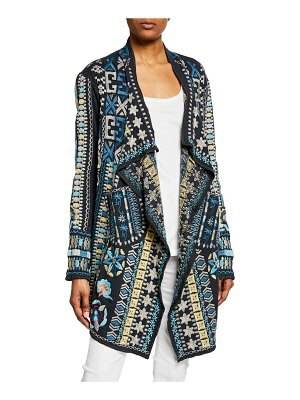 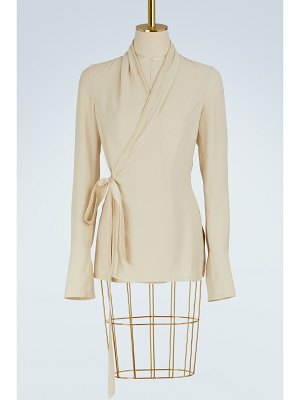 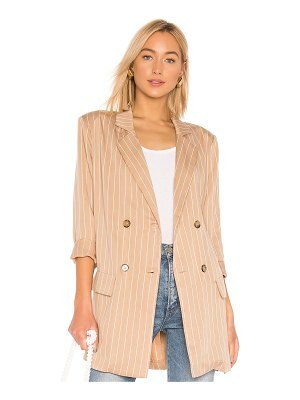 Elegant urban allure is guaranteed with this wrap jacket from Rick Owens. 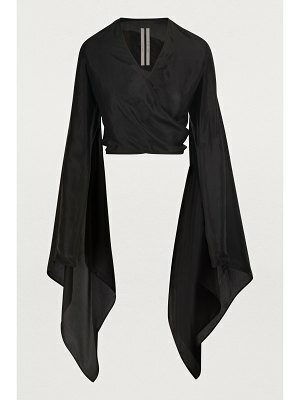 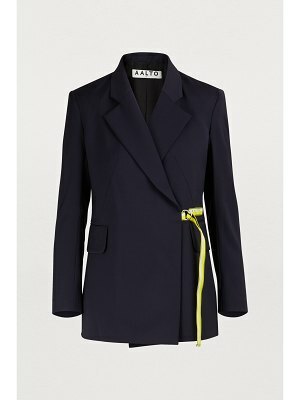 Famous for draping and asymmetrical effects, this fashion house has created this fluid, slightly transparent jacket. 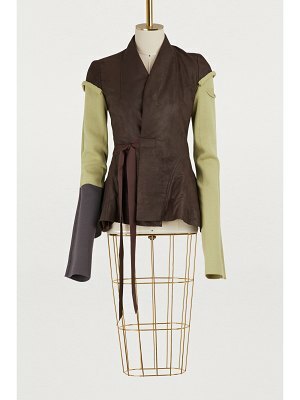 Worn wrap-style or with the panels open, it stands out immediately due to its elegance and meticulous detail. 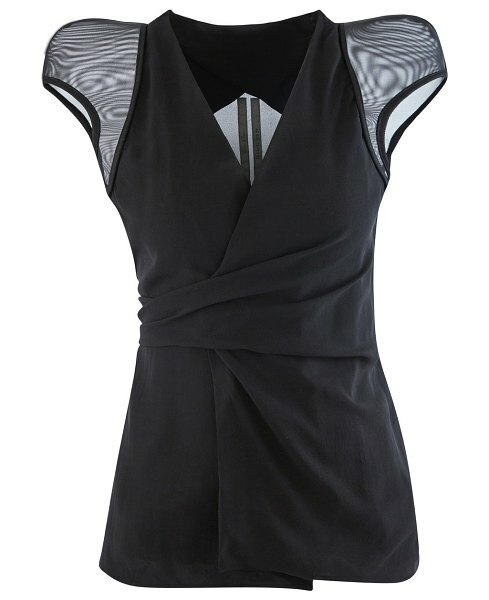 This piece pairs well with a plain-colored shirt, tailored pants, and high heels.